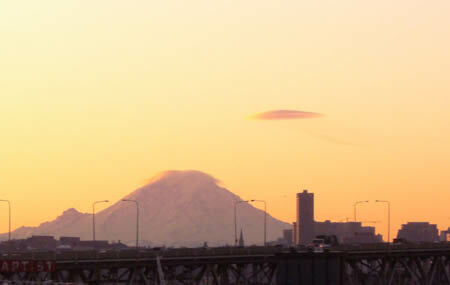 Mount Rainier can often be seen from many places in Seattle, and the two locations are about about 100 kilometers apart. This makes it a nice measuring stick to help Seattleites envision relative distances. This entry was posted in Life Hacks on April 29, 2008 by pjl. huge amount of information, some of which is even accurate. However, despite the fact that you can learn much by reading, there are still some things that you can only grok through experience. After reading yet another article about the benefits of meditation, and realizing that I spend way too much time learning by reading newsfeeds and social news networking sites instead of by experiencing things directly, I decided it was time to experience meditation. This entry was posted in Life Hacks on June 25, 2007 by pjl.